IPPZ Chicago chassis are available for use by reservation only. Reservations can be made on the DCLI website. Reservation instructions can be found here. Any chassis sourced from the IPPZ Chicago pool must be returned to the Integrated Harvey facility in order to complete the move and stop the usage billing clock. IPPZ Chicago chassis returned to any other location will continue to be billed to the reserving party at the quoted daily usage rate until it is gated in at the IPPZ Chicago start/stop. If an IPPZ Chicago chassis is returned to a location other than Integrated Harvey, a $250 migration fee may be assessed per occurrence. Gate fees will not be assessed for IPPZ Chicago chassis usage. DCLI reserves the right to amend IPPZ Chicago rates and/or gate fees at its discretion by way of updating these Terms & Conditions. 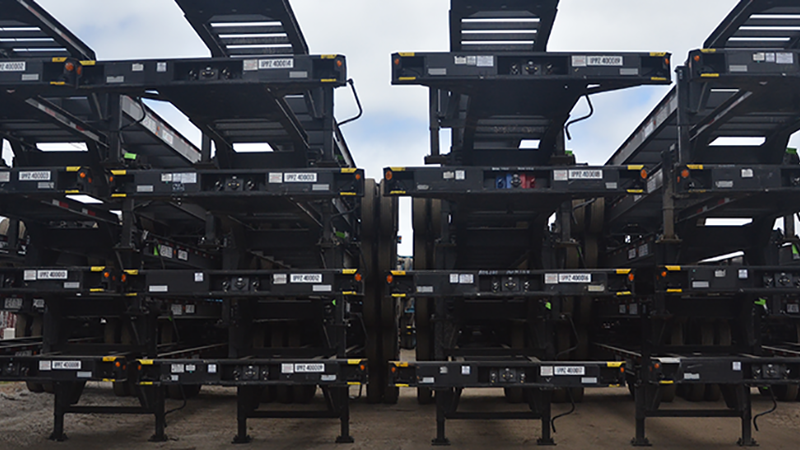 IPPZ Chicago chassis are covered by DCLI’s Emergency Road Service Procedure.